Digital provides a technological response to today’s new industrial challenges: economic and operational performance, the preservation of natural resources and human roles in plants. From the plant design phase, digital tools are used for production line modeling. Digital technologies offer greater flexibility during operation, thanks to data provided by sensors that enables production to be adapted in real time to requirements and resources. 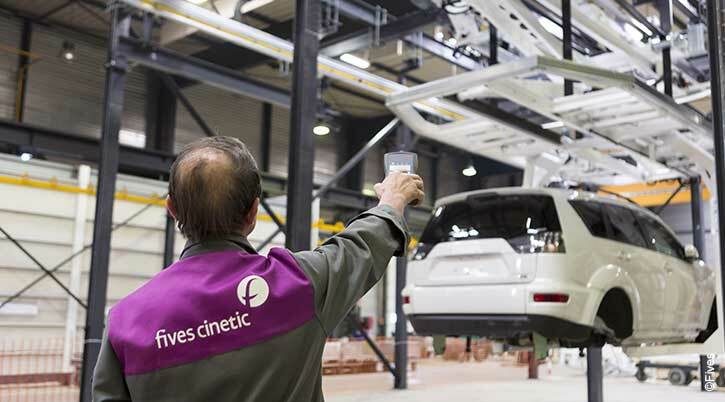 Fives combines its process expertise with digital tools to offer industrial companies solutions that facilitate production system management and maintenance coupled with aftersales services. Fives has designed a fully-automated sorting platform for Coliposte to handle 16,000 items per hour. The automated sorting system incorporates camera barcode reading, video encoding and optical character recognition (OCR). The entire installation is managed by Trace®, the Fives WCS. WCS Trace® (Warehouse Control System) is an automated system management tool for logistics (messaging, distribution, e-commerce systems, etc.). This intuitive software package helps to optimize parcel shipment and track progress in real time. OMNICANE has chosen Fives Sugar Consulting and its CAMEIOTM approach to support its sugar complex in Mauritius, in order to optimize its energy performance. The plant has been digitized using the model developed by Fives, which integrated its operational data (consumption, sugarcane quality, etc.). Fives experts used the model to make recommendations throughout the production run, reducing steam consumption by more than 10%. CAMEIOTM is a fully digital technico-economic simulation model that, coupled with Fives teams’ business expertise, helps to optimize cane sugar plant revenue on a day-to-day basis. It covers both sugar and ethanol production with a focus on energy efficiency (steam and electricity production and consumption). 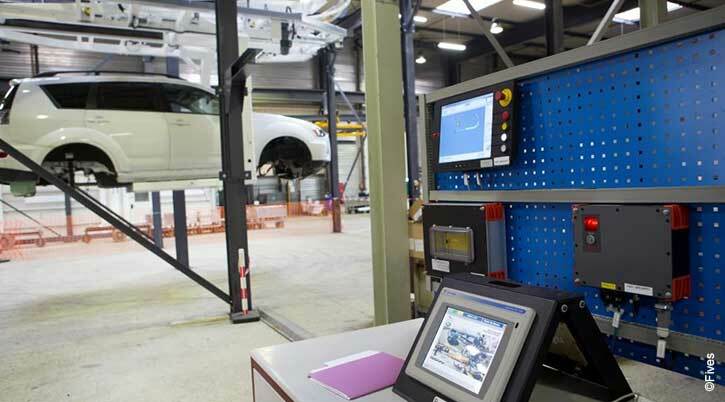 Fives is developing digital solutions to facilitate installation and tool maintenance for SNCF. This is part of the DIGI IO tool installation project, which is an element of SNCF’s "Plant of the Future" program, a project that is part of the transportation group’s digital transformation plan. FACC Operations GmbH, a leader in the development and production of components and systems made of composite materials for the aircraft industry, called on Fives to use Fives Cincinnati’s ACESV2 programming software. It was used for manufacturing the complex internal shapes of the outer wing region using this automated tape laying process under high-rate serial production conditions. ACES® (Advanced Composites Environment Suite) is analysis, simulation and programming software for tape laying and composite fiber placement. It is used to validate part configuration and maximize machine performance. 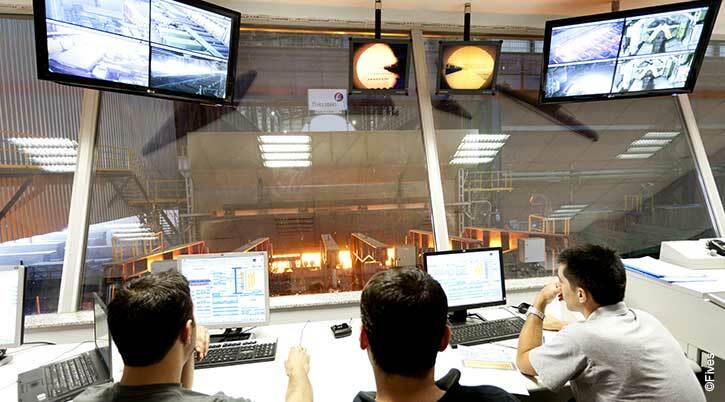 EyeronTM is a web application for steel sheet quality management. It gathers all available production line data to present a clear display and quick analysis, so metallurgy issues can be resolved. In September 2015, Fives and Baotou, the largest steelmaker in north-eastern China, signed an agreement for technical assistance in the development and production of a wide range of top-end steel for the automotive sector. All these services will be supported by systems developed by Fives KEODS: AbSIS™ and Eyeron™.